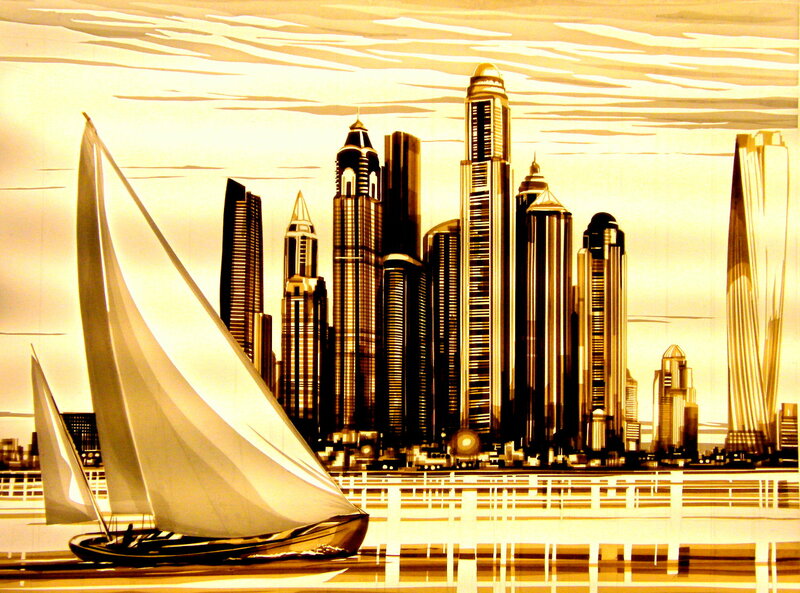 “Dubai’s been scalped by tape artist Max Zorn…The global street artist has hit the UAE … with packing tape and a scalpel.” -Edgar Magazine, The Gulf region’s leading men’s luxury lifestyle magazine. 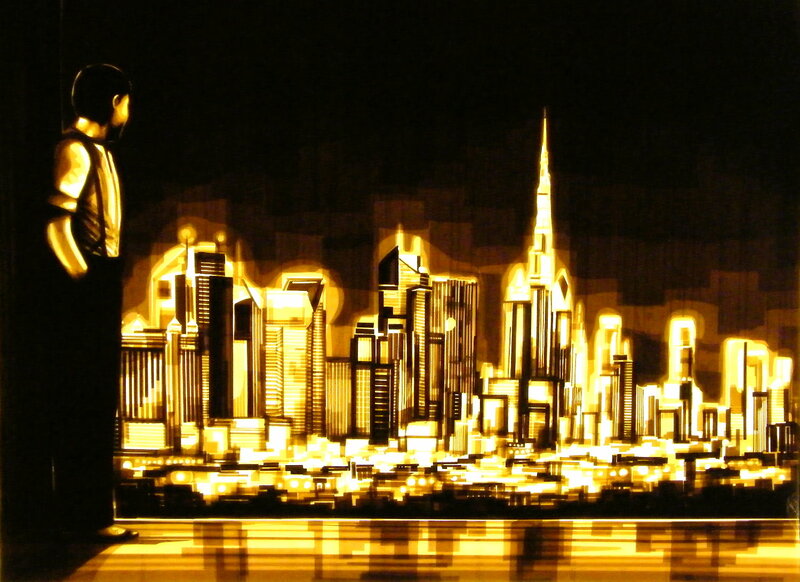 This global art event was part of Brand Dubai’s efforts to transform Dubai into an open-air art museum that reflects the vision, character and cultural diversity of the emirate. 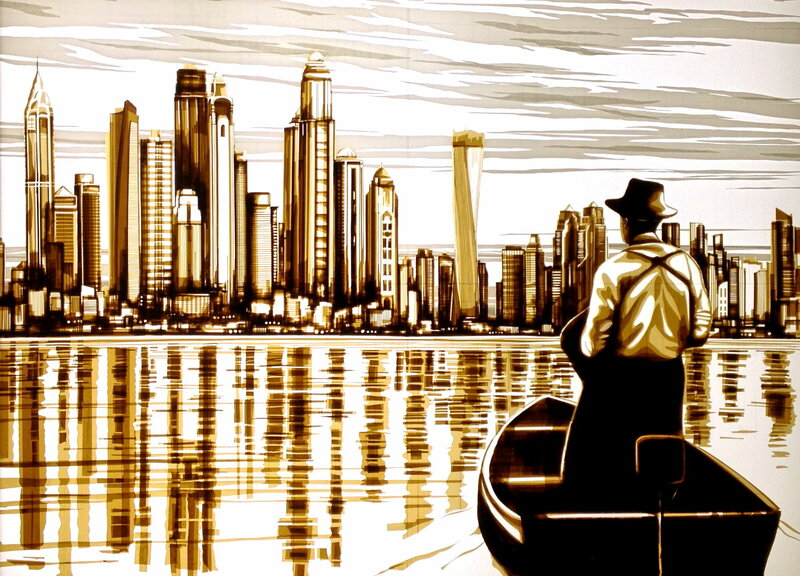 Max Zorn painted alongside massive artworks created by internationally known artists like New York’s Kurt Wenner, London’s Fanakapan, China’s Qi Xinghua, and Brazil’s Kobra among others. 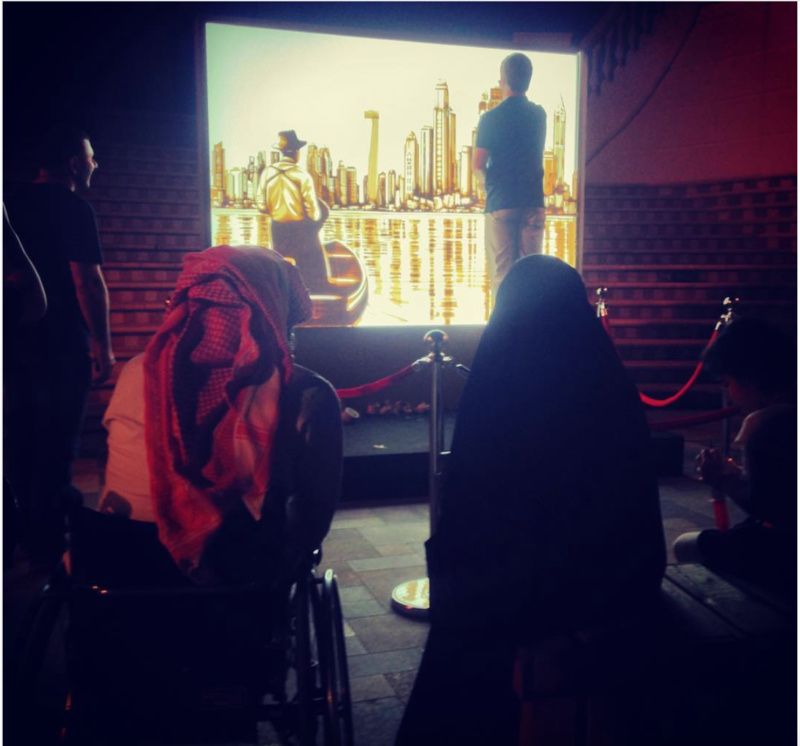 Artworks were exhibited as an installation stretching over two kilometres within Jumeirah Beach Residence to encourage active public participation, engagement and interaction. 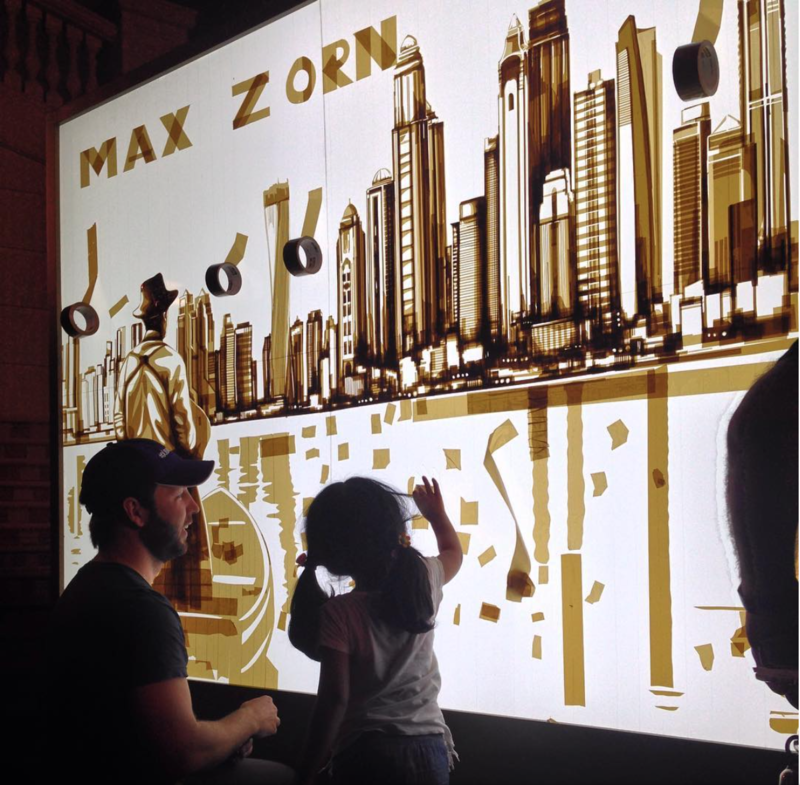 Max Zorn performed a live demonstration nightly behind red velvet rope on a giant tape artwork about 8ft x 6ft in size, pausing to answer questions from curious passersby, children and the press. Slow and steady the artwork came to life, and onlookers sat on sofas and cushions to silently watch Max at work. Like a fly to the light, the end result illuminated a golden glow of detail and romance.